At a press event following the big Apex Legends reveal, producer Drew McCoy told Eurogamer that Respawn is not working on Titanfall 3. So yeah, Respawn knows exactly the kind of backlash they’ve got coming, but they’re forging ahead anyways. The revelation that Titanfall 3 isn’t happening is certainly a surprise, as EA specifically said Respawn is working on more Titanfall when they bought the studio back in 2017. Of course, you could say Apex Legends is a Titanfall game since it takes in the same universe, but come on – can something without giant robots properly be called a Titanfall game? Interestingly, according to Kotaku’s reliable insider Jason Schreier, Titanfall 3 was definitely in development at one point. 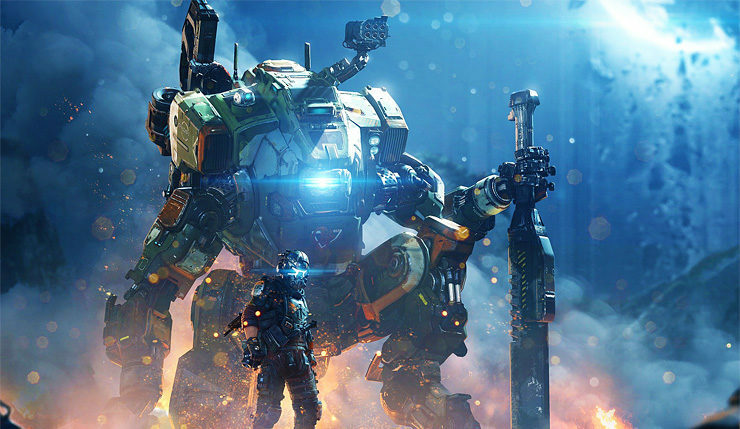 He speculates Apex Legends is either a stopgap before a next-gen Titanfall 3, or the work on Titanfall 3 became Apex Legends. At this point, it seems like the second option is more likely. Since the reveal of Apex Legends, a few more details about the game have been revealed. You will need an Xbox Live Gold subscription to play, but not PlayStation Plus, although PS Plus subscribers can access a free play pack with some exclusive items. Crossplay is, unfortunately, not supported. On the monetization front, Legends can be bought with premium currency (“Apex Coins”) or earned in-game, cosmetics can be unlocked via an in-game shop or through a battle pass, and, yes, there are randomized loot boxes. You can check out a handy Apex Legends monetization guide, courtesy of IGN, below.